Since I last wrote to you, the condition of the poor refugees has improved. During the winter months, the small pox carried them off by hundreds; but now it has somewhat abated. At present, we have one hundred and forty patients in the hospital. The misery I have witness must be seen to be believed. The Quakers of Philadelphia, who sent me here, have done nobly for my people. They have indeed proved themselves a Society of Friends. Had it not been for their timely relief, many more must have died. They have sent thousands and tens of thousands of dollars to different sections of the country, wherever these poor sufferers came within our lines. But, notwithstanding all that has been done, very many have died from destitution. It is impossible to reach them all. Government has erected here barracks for the accommodations of five hundred. We have fifteen hundred on the list. The colored people could not do enough for the first regiments that came here. They had entire faith in them as the deliverers of their race. The sight of the U.S. uniform took all fear out of their hearts, and inspired them with hope and confidence. Many of them freely fed the soldiers at their own tables, and lodged them as comfortably as possible in their humble dwellings. The change is very sad. In return for their kindness and ever-ready service, they often receive insults, and sometimes beatings, and so they have learned to distrust those who wear the uniform of the U.S. You know how warmly I have sympathized with the Northern army; all the more does it grieve me to see so many of them false to the principles of freedom. But I am proud and happy to know that the black man is to strike a blow for liberty. I am rejoiced that Col. Shaw heads the Massachusetts regiment, for I know he has a noble heart. We are now collecting together the orphan children, of whom there are a great number, owing to the many deaths that have occurred of late. In justice to the refugee women, I am found to testify that I have never known them, in any one instance, refuse to shelter an orphanage. In many cases, mothers who have five or six children of their own, without enough to feed and cover them, will readily receive these helpless little ones into their own poor hovels. O, when will the white man learn to know the hearts of my abused and suffering people! 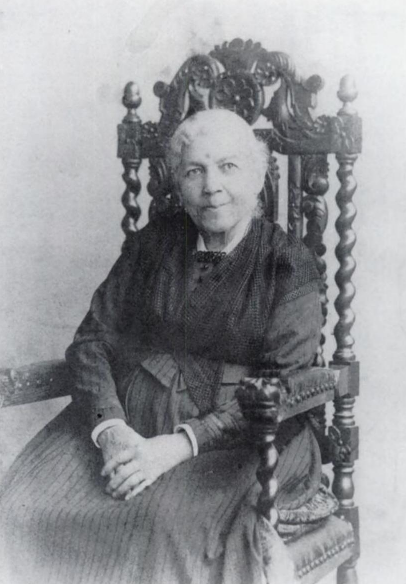 In 1813, Harriet Ann Jacobs was born into slavery in North Carolina. Her mistress taught her to read and write, but died when Harriet was young. Harriet fought against sexual harassment and assault, eventually deciding to run away in 1835; she stayed nearby, though, trying to look after her young children who still remained in slavery. In 1842, she escaped to the North and was later reunited with some members of her family. 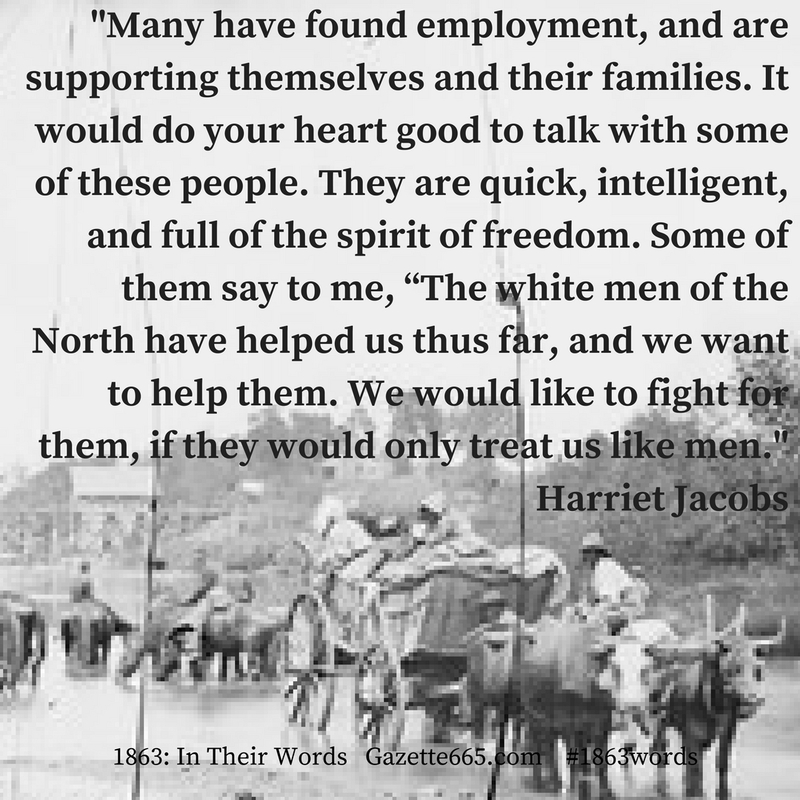 Encouraged by friends and abolitionists, Harriet Jacobs secretly started writing her autobiographical story in the early 1850’s, carefully crafting her story between narrative and novel form and using certain themes to convince more women to join or continue supporting the abolition movement. 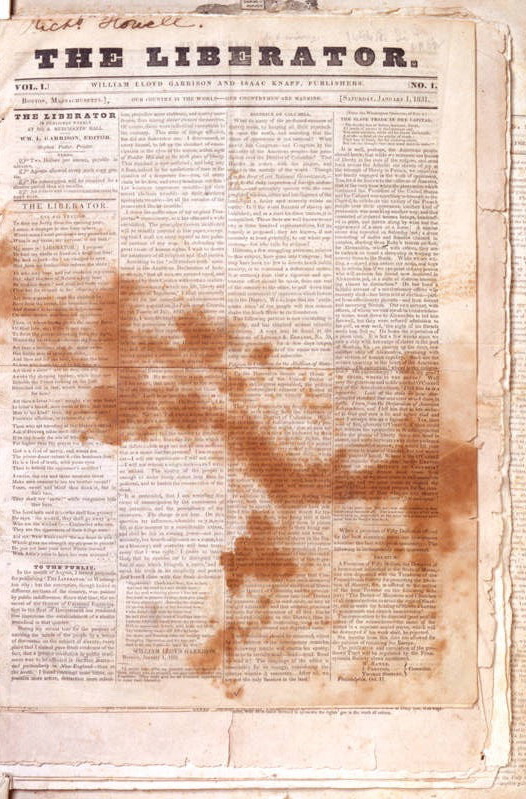 By 1860, it was ready for publication and coming war tension created trouble with the publishers; however, once the narrative was available it spurred the abolition cause further, adding pressure which eventually led to the Emancipation Proclamation and later the 13th Amendment. In 1862, Harriet Jacobs journeyed to the District of Columbia to assist former slaves who had sought refuge in the capital city. There, in 1863, she penned this letter, which eventually prompted the Secretary of War to take measures to give relief and aid to the refugees. Through the end of the war, Jacobs stayed active, assisting the refugees and helping to establish schools for them. The Following letter is from a very worthy, intelligent woman, who was herself a slave during twenty-five years, and who is now manifesting sympathy with her long-oppressed people by nursing them in the vicinity of our camps. To do this, she not only relinquishes good wages in a family for many years strongly attached to her, but also liberally imparts from her own earnings to the destitute around her. The Liberator and other abolitionist newspapers gave a voice to men and women who needed to share their own experiences or what they saw and heard. Often these publications raised questions about freedom and civil rights far ahead of most politicians, society leaders, and other newspapers. These writers and editors found ways to reach out with information and advocate for change by telling truth in a passionate, heartfelt way. Unfortunately, following the Civil War, Harriet Jacob’s autobiographical story slipped from the historiography, but thankfully it was rediscovered in the 20th Century. Her writing gave a glimpse of the horrors of slavery unique to women. Bravely, Harriet Jacobs did not allow the abuse to define her life and influence. She took courage and shared her story to advance abolition’s cause, then actively found ways to help former slaves who were struggling as refugees, doing her best to make their freedom’s road a little easier. She wrote about what she saw, begging in this letter for equality and an end of racism. “See the hearts of suffering people.” She saw and she used her kindness and her influence to try to make a difference.